PayPal recently welcomed female Transition Year students from Luttrelstown Community College and Castleknock Community College into its Ballycoolin, Dublin office for a workshop as part of the Institute of Technology Blanchardstown’s Young Women in Technology Project. The workshop reflects PayPal’s drive to encourage more women to seek careers in leadership, business and technology. The event gave the students a snapshot of what a career in science, technology, engineering or maths might entail. The girls learned first-hand what it would be like to be part of a dynamic, pioneering multinational—and even got the opportunity to design their own app. 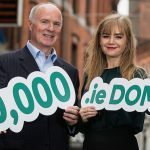 The workshop is the latest in a series of initiatives spearheaded by PayPal in Ireland, aimed at encouraging diversity in the workplace and championing the vital role women can play. “Diversity of thought is critical to the success of every business”, says Louise Phelan, Paypal’s vice president of Global Operations, Europe, Middle East and Africa. “For me, it’s not about giving women an advantage; it’s about levelling the playing field”. Is Victoria’s Secret about to replace BT2 on Grafton Street?